This full body massage coupled with warmed Salt Stones is designed to reduce inflammation, relax your muscles and leave your skin feeling energized. Our Salt Stones are mined from an ancient sea bed deep beneath the Himalayan Mountains. They contain 84 trace minerals that ground and balance the body’s electromagnetic field, central nervous system and meridians. Using the ionizing properties of Himalayan Salt Crystals, this body scrub is the ideal treatment for stressed, dehydrated and tired skin. A brisk lymph stimulating dry brushing followed by a scrub using organic Himalayan Salt crystals, buttery-smooth Golden Jojoba oil and essential oils of ginger, sandalwood and lemongrass leaving your skin baby soft. We highly recommend adding our Hydrotherapy Bath for greater detoxing + smoothness. 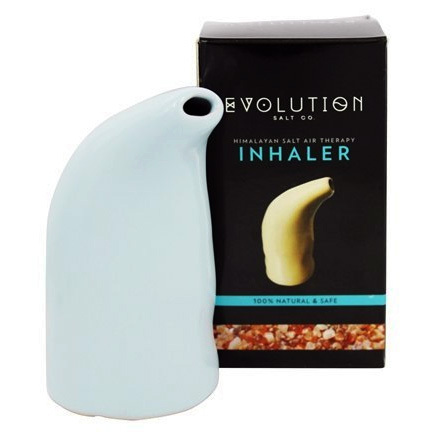 Evolution Salt’s Air Inhaler is a convenient, drug-free and non-invasive device for enjoying the benefits of salt-air therapy. Simply by inhaling through the mouthpiece of your ceramic salt air inhaler the moisture in your mouth and lungs will absorb the microscopic particles of this incredibly pure, bio-energetically alive and mineral rich Himalayan Crystal Salt – there are no moving parts. Ask a concierge for details on this amazing product. 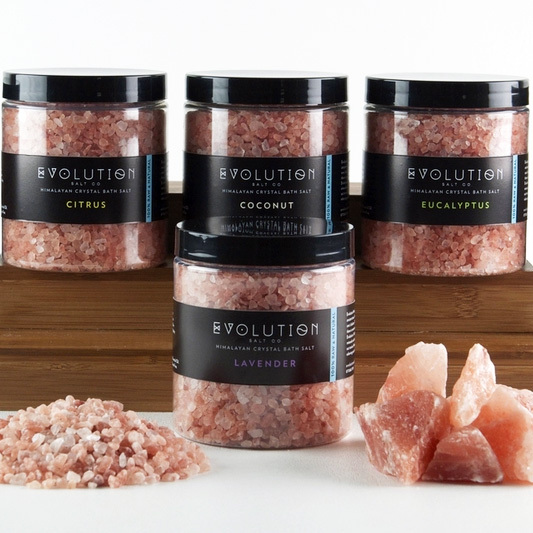 Evolution Himalayan Crystal Salt is perfect for the ultimate bath experience. Since ancient times, Himalayan bath soaks have been used to purify, relax, rejuvenate, and restore one’s balance. The skin is our largest organ, absorbing minerals, as well as toxins; therefore there are enormous benefits in taking Himalayan salt baths. 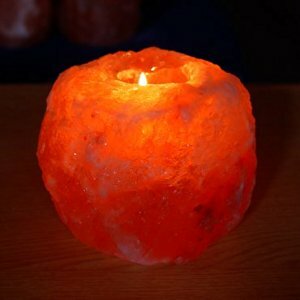 Himalayan Salt Candle Holders when lit and heated using a common tea light will emit negative ions that purify and clean the air. They also combat the harmful effects of positive ionization caused by electromagnetic radiation, which originates from TVs, monitors, computers, appliances, Wi-Fi, cell phones, etc. These are the same candle holders we use in our copper tub room.